The Seton Hall Pirates (13-15) lost to the Rider Broncs (12-19) in a game that was ultimately winnable, seeing Seton Hall lead by six scores in the bottom of the fourth inning. However, Rider swung back quickly and won 11-8 in a game that was shortened by local rain pockets in the seventh inning. As for highlights, Seton Hall freshman Steve Grober hit three home runs and sophomore Casey Dana had two doubles and two singles (he batted 2-3, including a steal, and two walks). Heading into the bottom of the fourth inning, Seton Hall led 8-2 before Rider struck a major comeback in the fourth, fifth, and seventh. In spite of the loss on the rainy day, the Pirates had some bright spots including 13 hits and the first six batters each reaching base twice. Hall ended the top of the first inning up three and moved to add onto their lead early, scoring two runs in the second and three runs in the fourth to lead 8-2. Rider fired back, scoring one run in the bottom of the fourth inning, three runs in the fifth, and five runs in the seventh to finish with an 11-8 win. 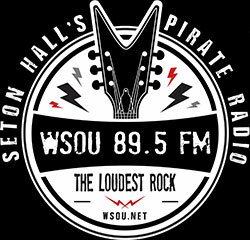 Seton Hall will look to bounce back against Princeton (6-18) at 4 pm on wsou.net. Matthew Pavlik can be reached at matthew.pavlik@student.shu.edu.